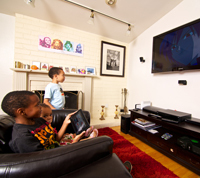 Free online kids animation channel Toon Goggles has partnered with Panasonic to bring its 1,200 hours of children's content to Panasonic's VIERA Connect Smart Viera IPTV platform via a newly designed Toon Goggles app. 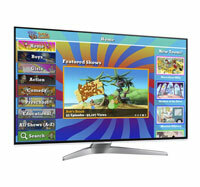 Free online kids animation channel Toon Goggles has partnered with Panasonic to bring its 1,200 hours of children’s content to Panasonic’s VIERA Connect Smart Viera IPTV platform via a newly designed Toon Goggles app. The new app for Panasonic VIERA Connect-enabled HDTVs will be available in North America this summer and is set to roll out in other regions. 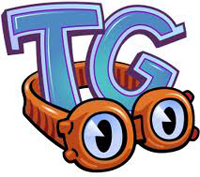 ToonGoggles.com launched in 2011 as a free portal that features animated features, programs, series, clips and trailers of kids content that is pre-screened, safe and age appropriate for children 13 years old and under. 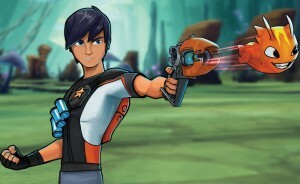 In other Toon Goggles news, the portal has added new kids series from European producer/distributor Millimages including Pablo the Little Red Fox, Pitt & Kantrop, and Pigeon Boy. 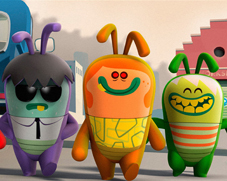 Toon Goggles also recently inked a deal with Kuala Lumpur, Malaysia-based Animasia Studios to bring a number of its kids series (ABC Monsters, Chuck Chicken) to its web portal.